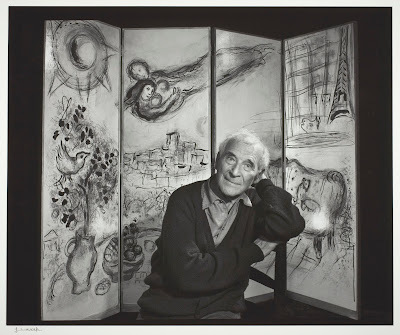 Today is the birthday of early modern artist Marc Chagall (July 7, 1887 - March 28, 1985). 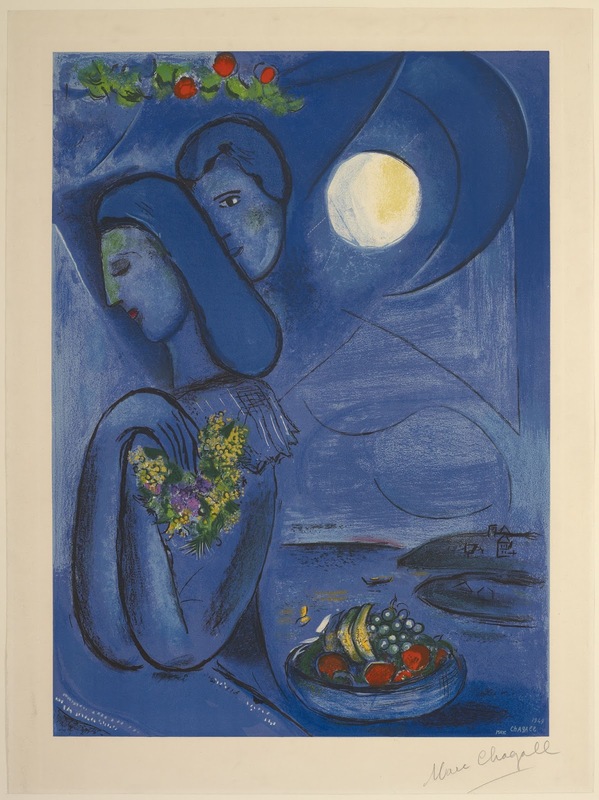 Born in present-day Belarus, Chagall's output was incomparably diverse, incorporating elements of many modern movements but never completely aligning with one. In addition, his lyrical paintings and illustrations avoided the modern tendency towards pure abstraction, always incorporating figuration. This methodology, along with his application of religious imagery, facilitated his allegorical style. Chagall mastered myriad mediums including painting, printmaking, illustration, ceramics, etching, sculpture, watercolor, set and costume design, murals and stained glass. In the early 1970s Chagall traveled to Chicago to install his mural, The Four Seasons, in the Chase Tower Plaza. It was during this trip that he was inspired to create the stained glass America Windows triptych for the Art Institute. Chagall intended the windows as a visual representation of the United States' commitment to cultural and religious freedom during the American Bicentennial. Browse our exclusive American Windows-inspired product, including our best-selling silk tie and scarf here.